Share this product and receive a $4.70 sharing discount. Another stunning creation from Ashleigh George. 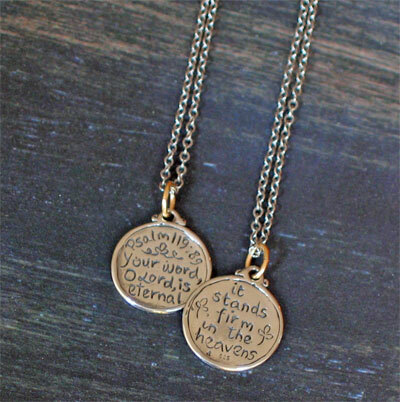 This pendant has scripture cast into the front and back of the sterling silver medallion. The materials are .925 Silver and a silver chain. The patterned cable oxidized chain is available in 16". 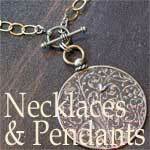 The hand cast circle medallion measures 3/4".